Canada is going to lift a ban on early transmission of election results, Minister of State for Democratic Reform Tim Uppal said Friday. 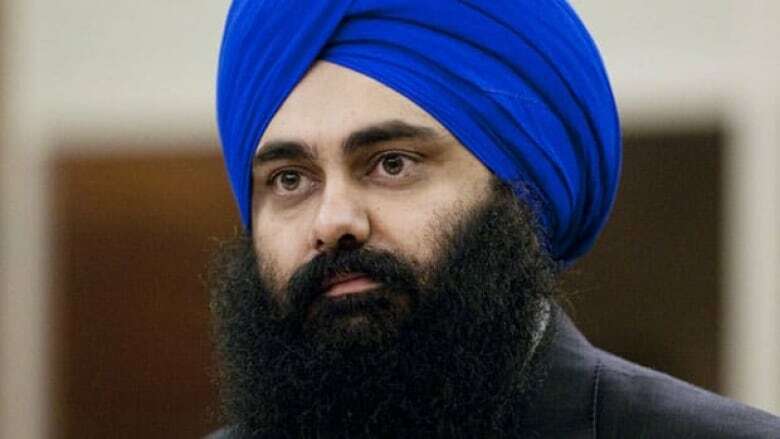 Canada is going to lift a ban on early transmission of election results, Tim Uppal, the minister of state for democratic reform, said Friday. The government is going to lift a ban on transmitting early election results, Minister of State for Democratic Reform Tim Uppal said Friday. Uppal made the announcement via Twitter before taking questions in person. Currently, it's illegal to transmit or broadcast election results before polls close across the country. But with social media making it easier for Canadians to spread news, the ban is becoming impossible to enforce. Almost one in five Canadians use Twitter, according to numbers released last spring. "During the most recent election, our government heard from Canadians that certain rules governing the administration of our elections are not only out of date, but they unnecessarily restrict freedom of expression," Uppal said. "Not only does the ban infringe upon freedom of expression, it has the potential to subject Canadians to heavy penalties for the use of technologies that are everyday forms of 21st century communication." The government will introduce legislation to lift the ban sometime in the next few months, Uppal said. It will also apply to television broadcasts, which are currently staggered across the country on voting day. Uppal credited blogger Paul Bryan, a Vancouver man who published election results in 2000 and fought an Elections Canada fine all the way to the Supreme Court. Uppal isn't the first to announce news using the social media tool, but it's the first time the government has sent a news release to notify journalists that he will be tweeting an announcement. Tony Clement tweeted news in February 2011, when he answered a question tweeted by the CBC's Rosemary Barton. Clement announced the government was sending a decision on usage-based billing back to the CRTC to reconsider. The debate on how much established internet and cable companies could charge smaller firms for bulk internet use was of interest to plenty of social media users and technophiles, who mounted an online campaign to convince the government to get involved in the issue. Uppal hasn't yet established himself as a regular Twitter user, with only 339 tweets on his account. Twitter has more than 100 million active users around the world, according to its website. POV | Do you think it's still necessary?